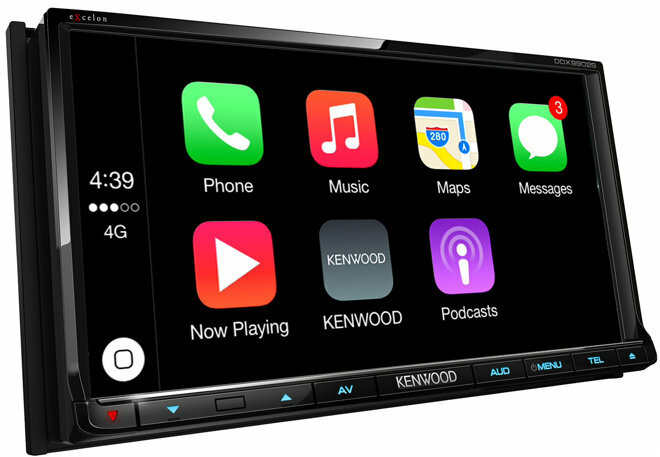 Both units have 6.95-inch resistive touch displays, and features such as Bluetooth, HD Radio, HDMI input, SiriusXM compatibility, and DVD playback. Users can also hook up a rear-view camera, and natively control Pandora or iHeartRadio when a smartphone is connected. The units' main feature however is the ability to switch between CarPlay and Android Auto on the fly, without a reset or even the need to change settings. Kenwood claims that its products are the only ones on the market to allow this rapid switching. The DDX9702S costs $900, while the DDX9902S is $950. The latter is superior only in terms of upgraded audio features —preout voltage is upped from 4 to 5, and the graphic equalizer has 7 bands instead of 5. The 9902S also supports the aptX Bluetooth codec, enabling CD-quality wireless audio. CarPlay support has so far been extremely rare, limited only to a handful of receivers and the Ferrari FF. That situation is beginning to change however, mainly due to General Motors, which is rolling out numerous 2016 models with the platform built in. 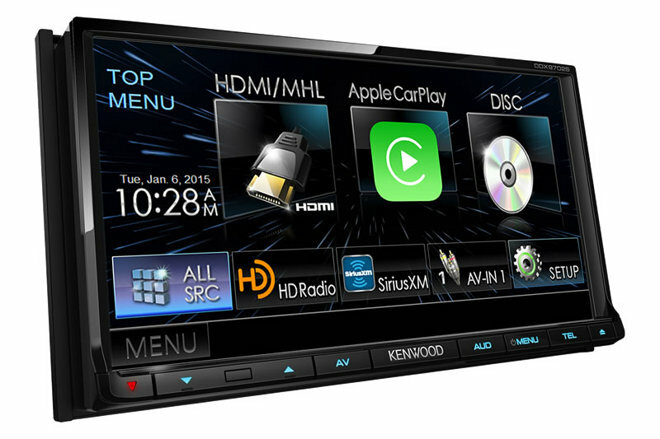 Apple has said that across all carmakers, 40 vehicles will get CarPlay by the end of 2015.